As the lights began to dim, I felt a twinge of nervous anticipation in my stomach. The expectant energy was palpable and contagious. Applause erupted from the audience as their two shadowy figures emerged from behind side stage curtains, into the spotlight. They were holding old guitars and wearing knowing grins. The theatre shook from the sheer magnitude of the audience’s screams and the forcible thunder of stomping feet. I forced my throat to swallow a hard lump, but there was no stopping my tears after the first hard strum of Land of Canaan. 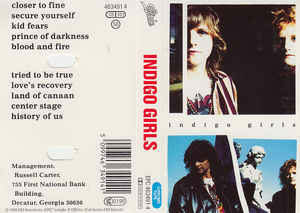 The Indigo Girls snuck up on me in the late 80’s when a college bud burst into my dorm room and threw the below cassette onto my crappy twin bed. “You have GOT to hear these guys!”, she gushed, “they are unlike anything out there right now!” She was certainly right about that. The hot and hip music in my college experience was mostly limited to The Replacements, REM and Bon Jovi, back then. Not a lot of acoustic female duo’s banging out jaw-dropping two and three part harmonies with lyrics that seared through your soul. We played that cassette until the song names wore off the cassette itself. No matter – we had them memorized and spent frequent nights swilling nickel beers while wailing their spirited and achingly poetic songs in unison, lamenting our own lost loves and slights of humanity. 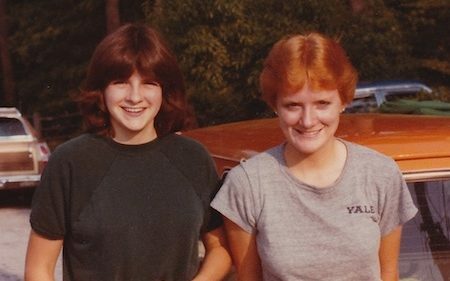 The Indigo Girls became a sacred rite, and we worshipped them accordingly. Naturally subsequent albums followed, and each signified a new chapter or stage in my life as well. I’m nearly certain that the only thing that got me through my two soul-stifling years in New Mexico (besides green chile, obvs) was Swamp Ophelia. My Mom sent me their Come on Now Social CD during my ridiculous stint living in England and I can remember (oddly enough) many a drunken skip home from the pubs belting out “Cold Beer and Remote Control”. Beauty Queen Sister saw me struggling as a new wife and stepmom, and also saw the beginning of my descent into what some alcoholics like to call rock bottom. The point of what could possibly be no return. The abyss. You know, Shitsburg. I’ve seen them countless times in concert, in many states, in many variations, but this last weekend was different. For the first time in thirty years, I saw the Indigo Girls in concert, and I was sober. The contrast to me was tangible and exquisite. While I can confidently promise you that I have reveled in each and every performance, I can’t seem to eloquently compare the two experiences without sounding overly simplistic, to those of you that don’t suffer from this condition, because nothing is simple when you’re an alcoholic. Can I admit to stopping dead frozen in my tracks as I realized they were going to search my purse? My heart raced in a Pavlovian response to the sight of flashlights going through bags. I always, and I mean ALWAYS, was packing. Here’s a fun little fact for those of you not in the know -when you’re a raging alcoholic you have to be pretty darn frugal. As any drunk knows, a few standard cocktails aren’t going to get the job done, so I felt justified in “topping off” my purchased cocktails from the flask in my bag. Or tucked in my cowboy boot. Or in my jeans, directly behind the fly. They NEVER pat there. Like I said, I was pro. Old habits die hard, no? The show absolutely roared and the Girls kept pace with our energy, allowing us to catch our collective breath in between anthems, and offered some softer ballads and selections from their respective solo albums. As I gazed around the old ornate and gorgeous theatre, I saw hundreds of joyful expressions lit in the glow of the stage, and hands swaying in the air. I saw women embracing and dancing in the aisles. Young and old alike were singing at the top of their lungs, some even resembling me, with tears streaming down their faces. 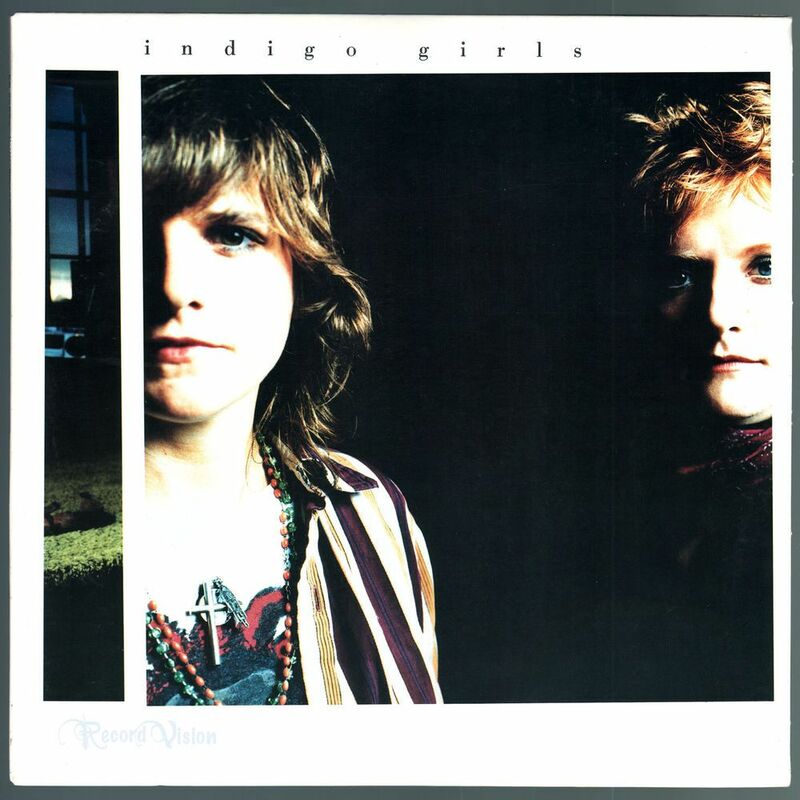 The Indigo Girls are an spiritual experience, not just a concert, and yes, I realize that sounds awfully dramatic and borderline ridiculous, but if you’re a fan, or have seen them live, you know exactly what I’m talking about and I dare say you agree. You see, it’s not just them, although they ARE the catalyst for the positive energy that bursts forth from each and every performance. I imagine it’s akin to what some folks call church. You are surrounded by love and positivity and there’s no judgment or room for anger or dejection. There is only hope and unity and strength in their oneness and it’s true, the Indigo Girls become one with their audience and each and every person in attendance thought that Amy and Emily were looking inside their soul and singing directly to and for, them. At least I thought that, and I think I’m right because at one point in the show I looked up at Emily and she looked directly into my eyes, grinned, and nodded her head. 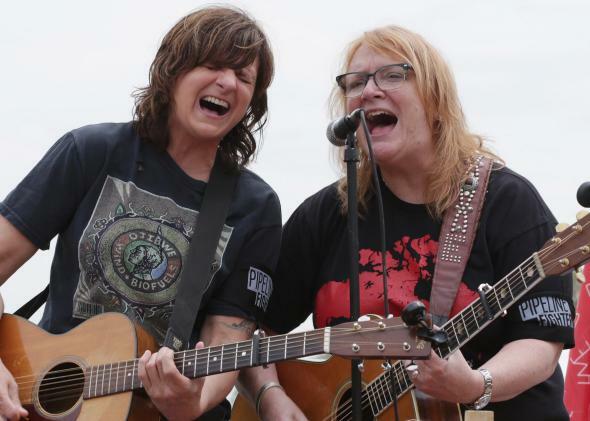 As utterly insane as it seems, the Indigo Girls feel like old friends, and in a way, they are. They understand your tears and they understand your outrage. They inspire and commiserate. They want to change the world for the better and when you leave their shows with your ears ringing and your voice gone, you want to as well, and more importantly, you believe it’s possible. As the evening drew to a close and they offered up their much-loved Closer to Fine, my tears were purely those of joy and for those almost two solid hours, I was closer to fine. I was closer to peace and I was closer to forgiving myself, for the past 47 years. Love this Jen! And you 🙂 They are so amazing, I saw them in LA years ago.